Companies that want to achieve long-term growth must regularly review the processes they rely on to do business. Leadership can announce all kinds of changes, but if the underlying processes continue to be inefficient, the organization will never reach its full potential. 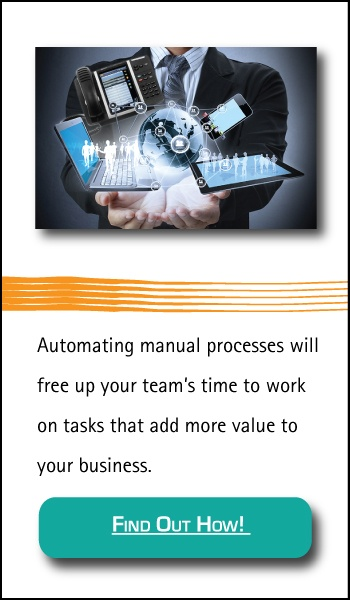 That’s why business process automation is so important. Business process optimization (BPO) refers to increasing a company’s efficiency by improving its processes. It’s considered an essential subset of business process management. However, the purpose of BPO is never to find a one-time solution. Going with a new supplier might meet the goal of reducing costs, but that’s not a solution that involves addressing the entire process. Instead, business process optimization could involve adopting more energy-efficient manufacturing practices that lower utility costs or discovering how to anticipate market demand to enjoy a discount through bulk ordering. There are three main reasons most companies decide to invest in business process optimization. Sometimes, new regulations demand that a company modifies the ways they’ve traditionally done business. It might mean changing their internal rules about when or how employees can work. When the GDPR was implemented, many companies in the EU had to change how they generated and contacted leads. Another popular benefit of business process optimization is increasing profits, whether that happens through raising revenues or cutting unnecessary expenditures. Cutting waste could mean identifying bloated overhead, but it could also mean optimizing processes that take too much time or result in lengthy bottlenecks. Both represent real costs that can be eliminated to improve profit margins. Many BPO professionals are merely tasked with making it easier for upper management to understand their company’s processes. For example, over the years, supply chains can become convoluted and confusing to effectively monitor, especially if it involves numerous sites or third parties. Therefore, the first step toward improving the supply-chain process may involve simply making it easier to monitor performance. This will allow management to understand all its “moving parts” and make strategic decisions going forward about further improvements. Business process optimization has a lot of potential for growing a company. Fortunately, implementing optimization only requires five steps to be successful. The first step companies must take when optimizing a process is picking the process to address. Even when the goal is something like better visibility and, thus, represents a process that may have become tough to follow, it’s vital that this first step includes defining what constitutes success. So, in the case of better visibility, the goal might be to be able to track the production of one unit through an entire supply chain. Again, if a company were looking at its supply chain, the next step would be to analyze the process as it currently stands. Where does visibility break down? Why isn’t the current process offering easy tracking? When did the problem start? Is it possible to track back to the root cause? Analysis often seems simple (“too much money is wasted on X”), but this step should be given plenty of time. It’s also best to bring in as many people as possible who are involved within each step so that they can give their feedback. Otherwise, a “successful” business process optimization initiative may only lead to yet more issues. The third step is to put an internal BPO champion in charge of implementation. This may represent a significant change to how things have traditionally been done, which is why experienced optimizers know they need to go over the changes with those who will be carrying them out and field any questions before getting started. Once the changes have been put into motion, it’s essential to monitor the results. Did the plan achieve the desired goal? If not, make further changes and try again. This step also entails speaking with the various teams involved to ensure the desired changes didn’t result in any collateral damage. Finally, after successfully optimizing a process, you should consider opportunities to implement automation. Doing so will only make the process even more efficient. 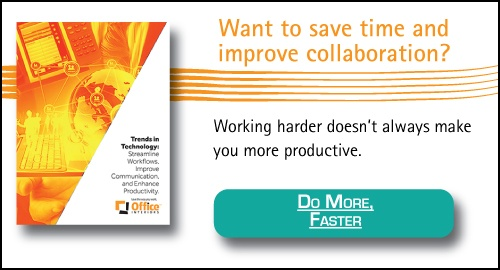 The secret to getting the most from business process optimization is to make it an ongoing task. When it comes to a business need like compliance, BPO makes sense as a one-time investment. However, implementing it over and over to achieve higher profits, increased visibility, better customer satisfaction, and more is how successful businesses continue to grow, year after year. By treating it as an ongoing priority and one that is continuously reviewed for improvements (optimizing the BPO process itself), your business will begin to see continued success and productivity gains. Want to see an example of how we implemented business process optimization ourselves? Here is a nifty infographic of how we completely revamped our Accounts Payable process!